Are you a young Filipino with an idea on how to spark change in your organization and community? If you are, we have been searching for you! Visit bit.ly/FBLP2EOI to apply! 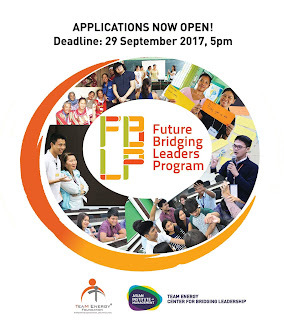 The second run of the Future Bridging Leaders Program (FBLP 2) is a yearlong leadership development program and social innovation laboratory based on the core principles of the Bridging Leadership (BL) framework, namely, Ownership, Co-Ownership, Co-Creation. The AIM-TeaM Energy Center for Bridging Leadership (AIMTEC-BL) welcomes applications from all young Filipinos, between ages 18 and 28. 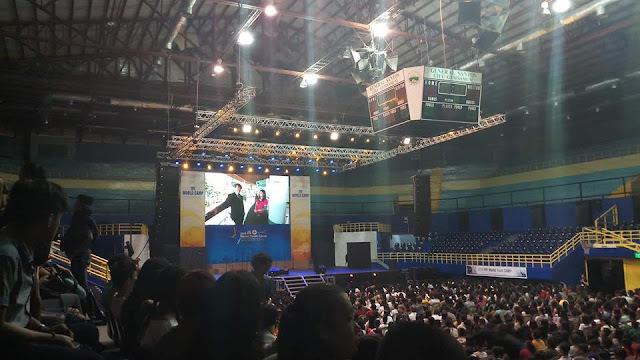 Through this fellowship program, the Filipino youth may enhance their collaborative leadership and change management capabilities to spark meaningful innovations in their organizations and communities. 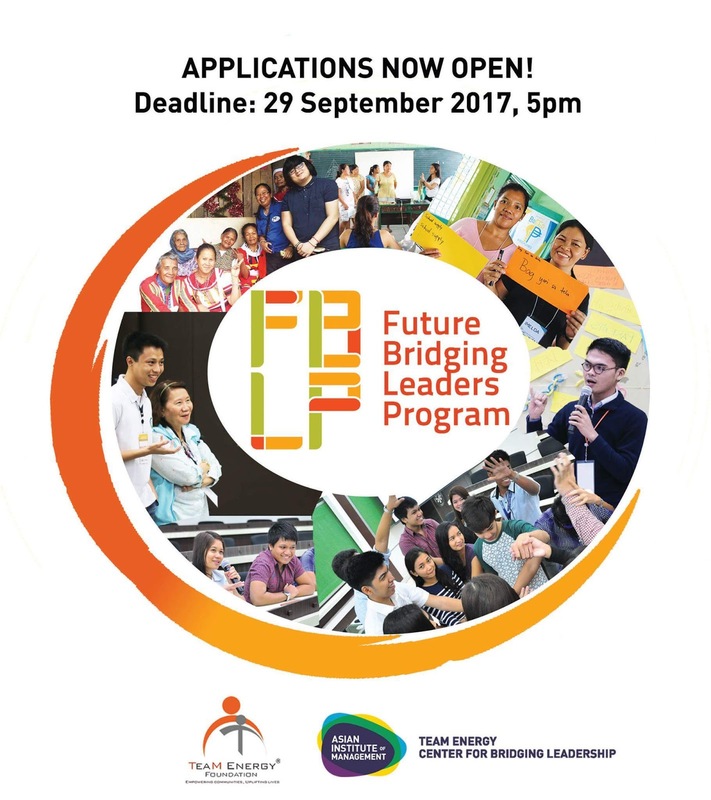 The FBLP 2 is a joint initiative of the Asian Institute of Management (AIM) and TeaM Energy Foundation, Inc. (TEFI) through the Center for BL. Learn more about the FBLP 2 through bit.ly/FBLP2INFO. For questions or comments, please do not hesitate to send us a Facebook message or email us at teamenergycenter@aim.edu. You may also call us at (+632) 892-4011 ext. 5606.